In the latter half of the 19th century Mechanical Pocket Watches grew in popularity and quickly established themselves as stylish and important accessories that a gentleman did not want to be without. 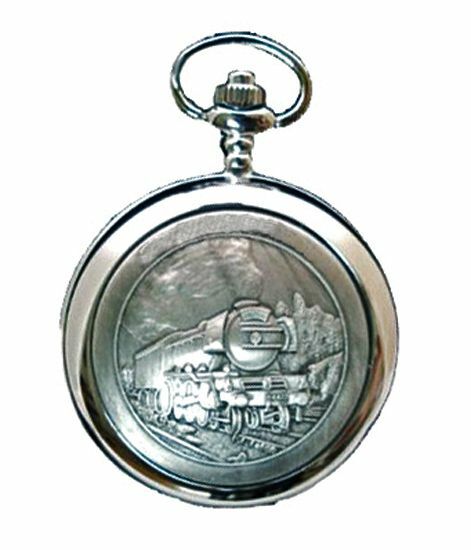 The Great Gift Shop is proud to continue the tradition with our stock of A. E Williams and Royal London mens pocket Watches. Traditionally styled pocket watches and chains are smart, sophisticated and fashionable to wear while the ticking of a hand wound mechanical model is soothing and harks back to the old timekeepers. They look striking worn with casual clothing such as jeans and also with a suit or smart jacket. As you would expect they are practical timekeepers too with black hands and numerals which contrast clearly against the white of their dials. The watches have been made using traditional techniques and come with a one year movement guarantee together with the A E Williams assurance of fine quality.